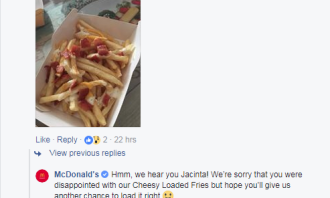 McDonald’s has responded to online backlash following the launch of its “Cheesy Loaded Fries”, a new item it has launched with its Signature Angus series of burgers. 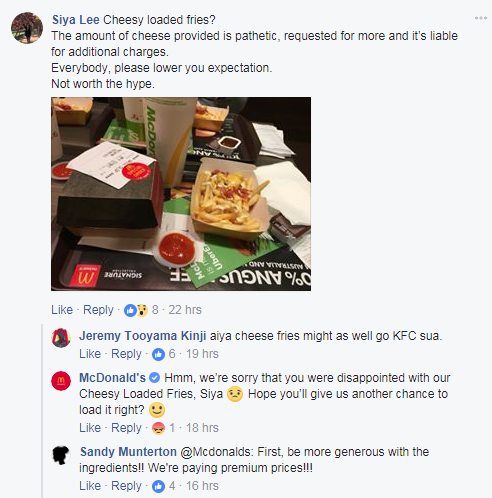 Following the launch, the fast food brand received online backlash from netizens claiming that dish was not “loaded” with cheese as advertised. “We’re sorry to hear that some of our customers haven’t had the best experience with our Cheesy Loaded Fries. 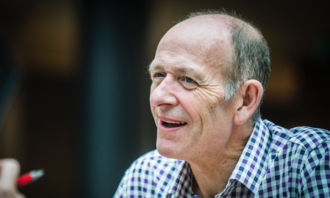 We’re reinforcing our restaurant procedures to ensure we deliver on our commitment to offering quality food enjoyment for our customers every time,” a McDonald’s spokesperson said in a statement to Marketing. 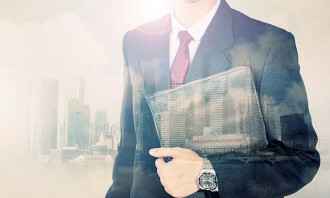 Marketing has reached out for additional comment on its advertising plans for the campaign. 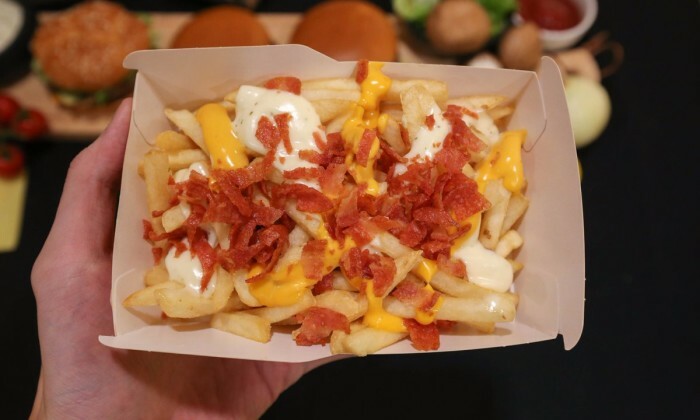 The “Cheese Loaded Fries” dish was unveiled a few days ago, with Twitter user Xavier Lur posting images of the new item on his page – this saw the new item being true to its name – loaded with cheese and toppings. 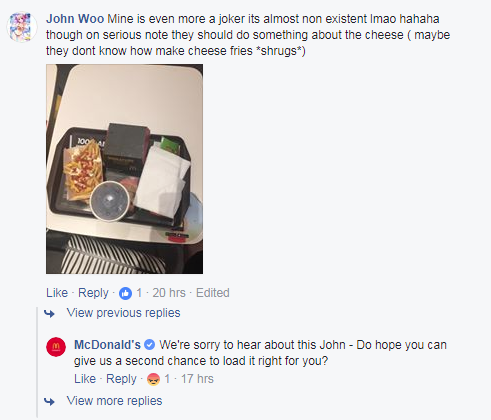 However, netizens were quick to point out that this was not the case in real life, with many sharing images of fries lacking cheese at McDonald’s outlets. 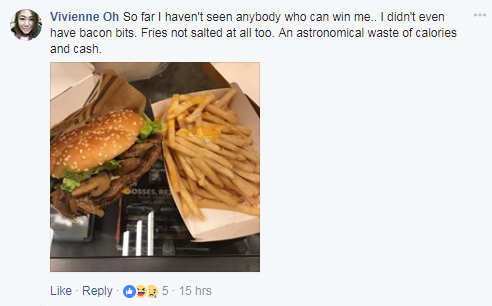 This was prevalent on a video introducing the Signature Angus series. 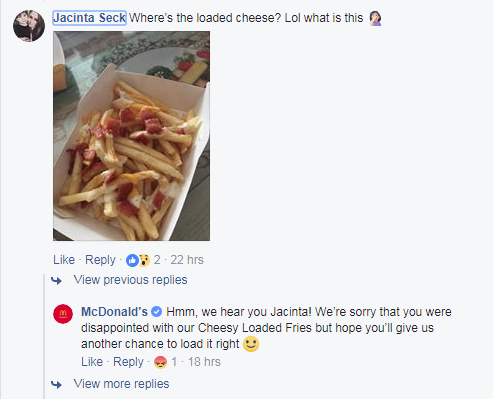 Following the feedback and complaints, a quick check by Marketing has found McDonald’s social media team responding to each of the comments apologising and hoping that customers would give them “a second chance to load it right for [them]”. 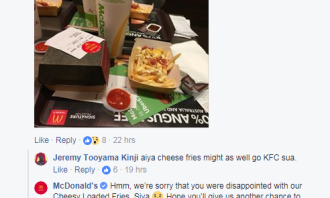 Most recently, McDonald’s launched its “Honour Your Appetite” marketing campaign in a bid to promote its Samurai Burger and newly-launched Ninja Burger. 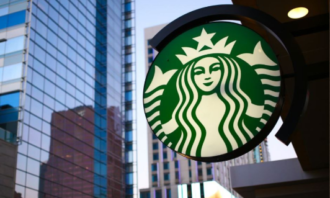 The campaign ran on print, TV, digital, out-of-home, social and in-store collaterals. 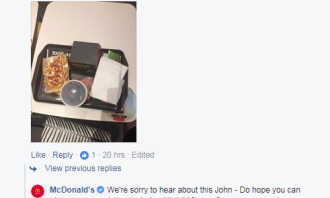 It also struck a partnership with UberEATS to allow customers the “convenience of having a McDonald’s meal delivered to their doorstep via UberEATS”. 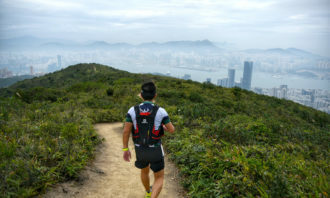 Will growth in Q4 ad spend slow down due to Occupy Central? In light of the Occupy Central protests, many brands are pulling ads and putting campaigns on hold. Will the ad spend for Q4 be a..
"Imagine when you want to date a girl, how would you approach her?" 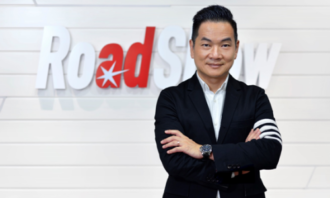 Nando's Chickenland Malaysia's marketing director shares her t..